Topics: Ico-info, Ico-entertaiment, Ico-research, Ico-data, Ico-bridge, and Ico-security. Age: It went live on May 26th 2000, making it over 17 years, 10 months old. 19 users visit the site each day, each viewing 2.00 pages. furuno.co.uk Furuno Electric Co., Ltd.
dockwalk.com Dockwalk - High-Tech Security: Wise Precaution or Overkill? The programming language environment is PHP/5.2.17. It is hosted by 34sp.com Ltd (England, Manchester,) using Apache/2 web server. 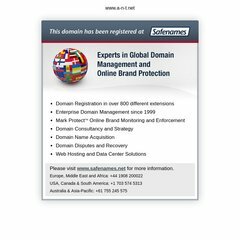 There are 2 Nameservers, ns2.namecity.com, and ns1.namecity.com. PING www. (46.183.9.110) 56(84) bytes of data. A time of 112 ms, is recorded in a ping test.